The Roanoke Valley in Virginia’s Blue Ridge is the ideal destination for a beercation! The craft beer scene in the region continues to grow, with local breweries regularly popping up and national brewing companies establishing roots in the area. To make sure great beer is part of your next getaway, we’ve created this weekend itinerary for beer lovers! It features many of the unique craft beer experiences, as well as other fun things to do that will help you work up a thirst. Here’s your guide to a fun weekend in Virginia’s Blue Ridge Mountains! Kick off the weekend by checking out the Friday night scene at one of the great local breweries in Virginia’s Blue Ridge. Chaos Mountain Brewing Company and Parkway Brewing Company are two options for Friday night fun, as both feature a variety of craft beers and patio space, in addition to regularly hosting live music and food trucks. 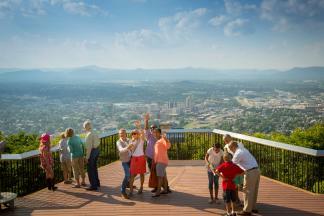 Any visit to Virginia’s Blue Ridge has to include a trip to the iconic Roanoke Star atop Mill Mountain! Illuminated every night, this 90-foot tall structure stands as a unique symbol of the region and the overlook provides one of the best views of the Downtown Roanoke skyline and surrounding valley. The Historic Roanoke City Market is the place to be on Saturday morning. With local vendors who have been selling their goods for over 100 years, it’s a rich part of the history and character of Virginia’s Blue Ridge. 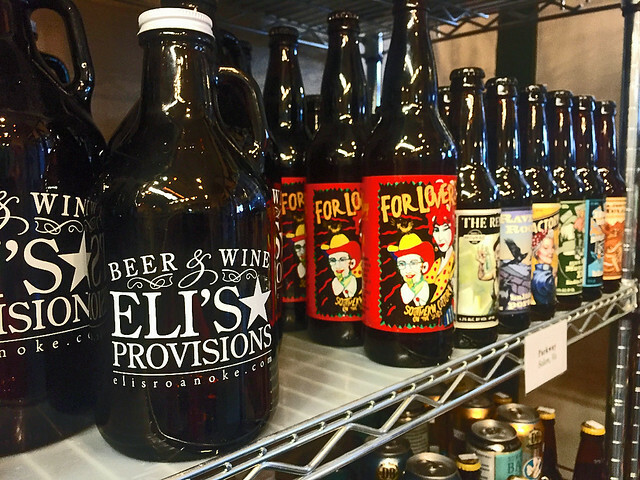 As a craft beer lover, a walk along Market Street should include a stop at Eli’s Provisions. The store features an impressive variety of local, regional and international beers, and regularly offers great options on tap for filling a growler. Located in the heart of Downtown Roanoke, Center in the Square is home to four museums, coral reef aquariums, and a stunning rooftop garden. It’s the perfect spot to get yourself energized for the day by playing a few games at the Roanoke Pinball Museum or checking out some interesting exhibits at the Science Museum of Western Virginia. Grab a table on the patio at Wall Street Tavern in the City Market Building and enjoy the bustling scene of Downtown Roanoke on a Saturday afternoon. The Tavern’s lunch menu features sandwiches, salads, and soups, and we definitely recommend an appetizer of garlic parmesan fries. If you’re ready to begin your day drinking, the bar menu at Wall Street Tavern will have you ready to go. Saturday afternoon is all about local beer with the Roanoke Craft Beer Tour! This 4.5 tour will include stops at three local breweries and at least four tastings at each spot. You’ll also get a mid-afternoon snack at the legendary Texas Tavern in Downtown Roanoke. Tours begin at 1:30 p.m. and advance reservations are required. Following your beer tour, unwind with a few more drinks and some great food at Blue 5 in Downtown Roanoke. Voted Virginia’s Best Beer Bar by CraftBeer.com, Blue 5’s beautifully designed bar has 46 rotating taps and over 40 types of bottles of craft beer. The menu focuses on Southern-inspired cuisine and some of the best BBQ in town. If you’re still up for it, there’s always a party on Saturday nights at Martin’s Downtown Bar & Grill. This popular downtown restaurant is one of the best places in Virginia’s Blue Ridge to enjoy live music and hosts an eclectic mix of blues, funk, and rock bands from throughout the mid-Atlantic. You may need a late wake up call, but grabbing a bagel and coffee at Roanoke Bagel Company on the James in Buchanan will help you get your Blue Ridge Day started. This locally-owned bagel shop is located a short walk away from the bank of the James River, which is perfect for your next adventure. Ready for a day on the beautiful Upper James River Water Trail? The pros at Twin River Outfitters offer a variety of options for tubing and paddling, and you can look forward to a relaxing time enjoying the scenic, peaceful views of Virginia’s Blue Ridge along the water. A tubing float typically takes 1 to 1.5 hours depending on water levels, while paddling trips can be designed to match the experience you’d be interested in, from a lazy river to a whitewater paddle. Flying Mouse Brewery is the final stop on your craft beer weekend in Virginia’s Blue Ridge. It features four signature brews based off its unique numbering system that will guide you to the ideal match for your taste buds. 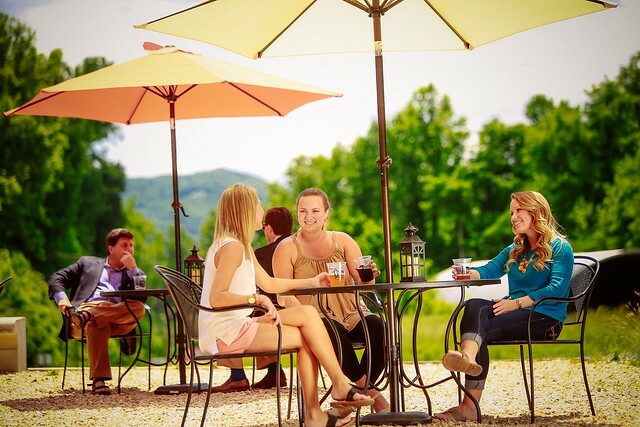 The patio space at Flying Mouse is also an ideal spot to savor more of those beautiful views of the Blue Ridge Mountains as you finish your weekend. 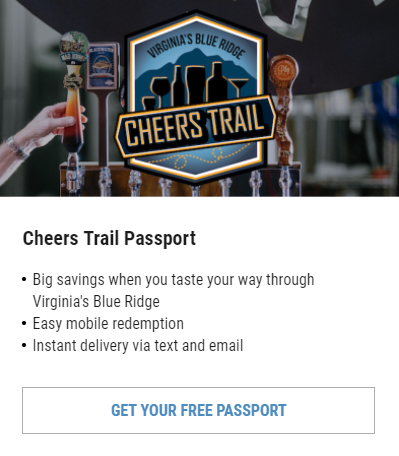 Visit our Sample Itineraries section for more ideas on planning a trip to Virginia’s Blue Ridge and learn more about craft beer in the area by visiting our Breweries page. During your next trip to Virginia’s Blue Ridge, remember to share your experiences on social media by using our #BlueRidgeDay hashtag!